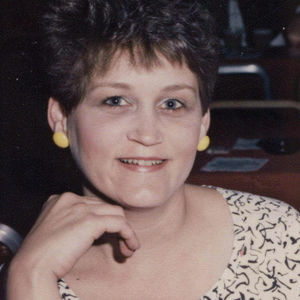 Henry, Linda M. (Louden), 56, of West Deptford, NJ on Feb. 26, 2012. Linda fought a courageous battle with cancer and inspired many whom she met along the way. Linda enjoyed working as the Assistant Cafeteria Manager for West Deptford Schools and was a devoted member of St. Patrick's. A great baker and cook, her Pound Cake and Meatballs were the favorites of her family. Spending time at the Jersey Shore either trying her luck at the casinos or riding the waves was a great source of fun and memories for her. An avid sports fan, Linda enjoyed cheering on the Phillies, Eagles or watching Tiger Woods play. All that said, it was her family that was paramount in her life and what she took the most pride in. Beloved wife of the late James P. Henry, Jr.; loving mother of Shannon Henry, Patrick Henry, Steven Flood, Deborah Rue and the late Kristopher Henry. Dear grandmother of Brittany Pacienza and Gabrielle Rue. Daughter of Thomas and Patricia Louden; siblings Tom, Jr., Tricia Ohrenich, Terry Mawson, Peggy Dezzi, Mike Louden and Tracey Mullin. Linda ALWAYS had a smile and a kind word for everyone with whom she encountered ...especially the kids. You will be sorely missed Linda ...God bless you ...Rest in peace. I met Linda (along with Jim) in 2007 at the Outer Banks. My duaghter was 5 months old at the time and I remember how fond she was of Rylee and always asked about her. She made the best freakin meatballs I have ever tasted and that is no joke. She was a tender woman who knew how to have fun. Even though my family only spent a week with her, we always would ask how she was doing. She is in a better place now with no pain and suffering. I am better person for knowing her. Rest in Peace Linda!